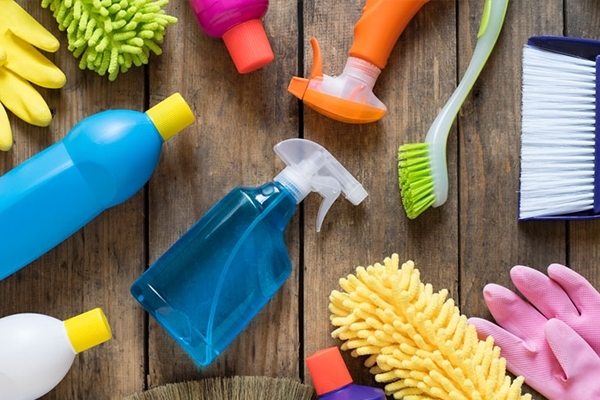 Home Spring Cleaning Tips | The Resurfacing Doctor, Inc. If you are anything like the vast majority of people, you’re probably procrastinating your spring cleaning due to feeling overwhelmed. 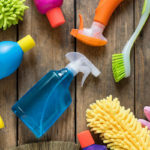 We find that the easiest way to get over these feelings of dread and impossibility is to break down the spring cleaning chores into an easily achievable list of tasks. 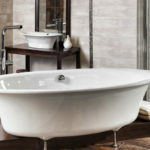 This list usually applies to every home, and we encourage you to make your own changes and additions but this should be a great place to get started to help you get that deep clean feeling this spring! Televisions – Many televisions have cooling fans and plastic parts that build up with dust. These can benefit from regular wipe-downs and dustings with compressed air. Ceiling fans – Wipe the blades top and bottom as well as the motor housing and follow up by dusting the motor housing with compressed air. Computers – One of the most common causes for computers crashing is overheating. Use compressed air to clear airflow channels and heatsinks. Desk fans – Particulate build up happens fast with most desktop and pole-mounted fans. Use a screwdriver to open up the cage(after turning off the fan, of course) and use a damp cloth to clean the blades. Carpets can be some of the dirtiest areas of the house when left untouched. Animal dander, dead skin cells, food particles and everything else can all accumulate in carpet fibers. Use a strong vacuum and if you want to go the extra mile, shampoo or steam your carpets for that deep clean feeling. Top to bottom, side to side. Wipe down every inch of your cabinetry, inside and out. While you’re in there, clean all of your dishes, too! Just because you haven’t used them in months or even years doesn’t mean they couldn’t benefit from a good cleaning at regular intervals. Again, we emphasize the “deep clean”. Every inch of every surface in some fashion. You can even add some cleaner to the top tank of your toilet! These garbage containers frequently gather up stray bits and pieces of your favorite meals, snacks and other household projects. Cleaning these with a light bleach solution will help prevent bacterial growth and will help keep your living spaces smelling fresh. To get a cleaner, fresh smelling garbage disposal take a few ice cubes and a few lemon wedges and send them down the chute. Let the disposal run for 20-30 seconds. Get out the squeegee and paper towels and get your windows to shine! Just because the device is meant to clean other things does not mean the device is self-cleaning. Take some time to clean your dishwasher. This includes adding dishwasher cleaner to assist in de-scaling and de-liming if this is a problem in your area. Cleaning and organizing your closet could be one of the most intimate ways to getting yourself ready to take on the rest of the year. Make sure to wipe down those shelves while you’re in there. Cleaning your attic or any other long term storage areas of dust, insect carcasses, spider webs and other offending debris. Hope these tips help get you and your family energized about getting a fresh start on spring, and as always, Give us a call for any refinishing or resurfacing needs you may have!